Ḥorvat Raqit lies on a spur of Mount Carmel, 5 km from the village of ‘Usfiyya. The central part of the site, a large estate dating from the Roman and Byzantine periods, is occupied by a dense block of buildings extending over an area of c. 2 a. In addition, tombs and various agricultural installations, partially enclosed by stone walls, spread out over an area of some 10 a. at a distance of dozens and even hundreds of meters from the estate. In 1873, the site was visited by the Survey of Western Palestine and described as a stone heap, the earliest mention of the site. L. Oliphant (1883–1884) was the first to describe visible remains on the ground, noting buildings and agricultural installations. He also provided a partial description of Marinus’ tomb and its short Greek inscription. E. G. von Mülinen included Raqit on the map of his survey of Mount Carmel (1907), mentioning the remaining ruins and Marinus’ tomb with its Greek inscription. In the 1970s, the site was surveyed by Y. Olami as part of the Archaeological Survey of Israel. In the survey report, Olami and A. Kloner state that pottery vessels from the Roman and Byzantine periods were found at the site. In 1981–1983, Raqit was surveyed anew by H. Lahav and M. Parkash as part of a nature and scenery survey of Mount Carmel. The site was reexamined during the 1980s by H. P. Kuhnen during a study on the Mount Carmel area, in which he incorporated the results of previous surveys as well. 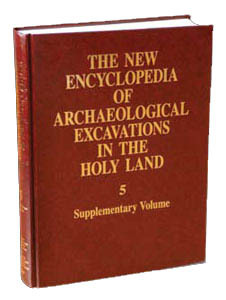 In 1996–2002, archaeological excavations were conducted at the site by S. Dar, assisted by Y. Ben-Ephraim, under the auspices of Bar-Ilan University and the Mount Carmel National Park.